Welcome to the West Lakes Academy page of Multi-Academy Trust frequently asked questions (FAQ) and answers. In addition to the questions detailed please ask any questions you have which are not already here. We will reply directly to you. We will also add the question and our answer to this list of FAQs. West Lakes Academy is currently a Single Academy Trust (SAT). It was established in 2008 when the Wyndham and Ehenside Schools were brought together. WLA is currently a sponsored academy – this means it has support in terms of governance and strategic direction from other organisations. In our case the Sponsors are major local organisations – Sellafield Ltd, NDA (Nuclear Decommissioning Authority) and UCLan (University of Central Lancashire). The new academy buildings were completed in 2012. The governors of West Lakes Academy have been looking at the option of converting to a MAT for some time as a natural progression in the journey of improvement, which has been undertaken by the academy. We believe that now is an excellent time for the establishment of a MAT in West Cumbria. The Government are very keen on academisation and on the establishment of MATs rather than SATs. WLA is keen to be a part of this development. The government’s plans on academisation are currently part of the Education White Paper, which was published in March. There was a further announcement by the Secretary of State for Education, Nicky Morgan, on May 6th and there is expected to be further clarification within the Queen’s Speech on May 18 2016. The pace of change is building and, therefore, we believe that we need to be prepared for the changes which are anticipated. What are the things which make the establishment of a MAT a good idea? Sharing best practice, expertise and resources and raising standards across all key stages. Efficiencies and economies of scale through procurement. The Government are very keen on encouraging schools to convert to academies. The Government have been reducing both funding for local authorities and the responsibilities of local authorities and therefore the support from the LA to local authority maintained schools is reducing. The idea of a locally based, collaborative, self-supporting and improving group of schools sharing expertise and best practice is one which we fully support and are very excited about. Which schools are planning to join the MAT? At this stage West Lakes Academy is simply establishing the legal structure of a MAT. WLA is already an academy and therefore the process is quite straightforward. There are presently no other schools that have indicated that they wish to join the West Lakes Multi-Academy Trust. We welcome contact from any schools who are interested in academy conversion and are ready to help them better understand the implications of academy conversion and the process of conversion. We recognise that it is for each school and its governing body to decide for itself the best position for its own particular situation. We will not force any school to convert to an academy nor to join the West Lakes MAT – each school is free to decide for itself. How can schools who want to join the MAT proceed? The process for converting to an academy and joining the West Lakes MAT has to be initiated by the governors of each school. West Lakes Academy would welcome contact from any schools who are interested in learning more about the process of academisation and how to engage in developing the strategic direction of the West Lakes MAT. Can schools be forced to join a MAT? 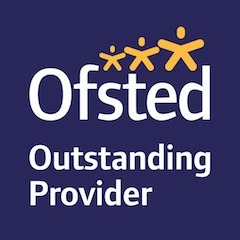 No Ofsted rated ‘good’ or ‘outstanding’ schools can be forced to join a MAT. However Ofsted rated ‘requires improvement’ or ‘inadequate’ schools can be forced to join a MAT. What is the name of the MAT? The application for the MAT will not be made until later in the summer. We have not finalised the name of the MAT but we are currently using a working name of West Lakes Multi-Academy Trust. We believe that a MAT will be more effective and productive if it is based within a local geographical area. This is why we think that the name of West Lakes MAT is a good one for us because we intend that the schools which will form the MAT will be from the West Lakes area. Is there a set model for how a MAT has to operate? No. There are rules regarding how a MAT is funded but the way in which a MAT operates, its governance structure and its vision and ethos are defined by the academy or academies that set up the MAT. How much local responsibility will remain with each school? This is for discussion and agreement with the governors, trustees and members of the MAT. We want to involve all schools who are interested in joining the MAT in the development of the structure, scheme of delegation and the level of local responsibility which will remain with each school. At this time we envisage that each school in the MAT will have a Local Governing Body (LGB) which will have responsibility for a range of areas, for example curriculum, behaviour and so on. The Local Governing Body of each school would be able to have governors from a range of backgrounds and in particular would continue to have both parent and staff governor representatives. The MAT Trustees will probably have responsibility for strategic aspects, financial planning, strategic staff development and policies. Schools within the MAT would keep their current names and uniforms. West Lakes Academy will continue to be the name of the Secondary Academy in Egremont and will retain its current uniform. How do the finances of a MAT work? The MAT receives the funding for all of the schools that make up the MAT. The financial planning is mostly undertaken at the MAT level although again there is significant flexibility for how the financial planning, monitoring and management is completed at MAT level or at LGB level. Devolved formula capital is allocated to all schools and academies on the same per pupil basis. In addition academies can bid to an Academy Condition Improvement Fund and MATs of a certain size (more than 5 schools and 3,000 pupils) receive a capital fund for the MAT to spend according to its own priorities. Emergency capital funding is also available for situations where the school would be forced to close if repairs could not be carried out. The funding for academies is calculated on exactly the same basis as local authority maintained schools. There is presently an additional sum paid to academies (£77 per pupil for 2015-16) but this additional sum is expected to be phased out in the next few years. There is a new National Funding Formula being introduced from 2017 but again this will affect both academies and maintained schools. The Conservative government are very keen on every school becoming an academy. They believe that academies improve pupil outcomes and allow schools to improve better than maintained schools. There are however many people who do not agree with this assessment. Nonetheless the government are committed to continuing the academisation of the education sector. The White Paper was published in March 2016 and said that all maintained schools were expected to have converted to academy status by 2020 or be well on the way to conversion by 2020, with an absolute end date of 2022. The recent announcement by Nicky Morgan on May 6th said that if a school is good or outstanding and is within a local authority, which is good or outstanding, then they will not be forced to convert. The government is expected to clarify the detail in the Queen’s Speech on May 18th. What is the time-scale for the West Lakes MAT? We are consulting with all interested parties throughout May 2016. A MAT working group, made up of a number of governors and senior Academy staff, is carrying out a detailed review of the process, challenges, advantages and disadvantages of converting to a MAT. We are also in discussion with the Department of Education through the Regional Schools Commissioner who has responsibility for Academy conversion and performance. We will shortly start working on understanding the legal process of converting to a MAT. The governors of West Lakes Academy will then make a decision in June on whether to proceed with converting to a MAT. If Governors decide to go ahead we envisage the MAT being established from September 2016, or shortly after. A MAT is funded by the government just as local authority maintained schools and single academy trusts are also funded by the state. The difference from a local authority maintained school is that the funding for a state maintained school is that the government pays the money to the local authority (Cumbria County Council) who then pay it to the school whereas both single academy trusts and multi-academy trusts get their money directly from the government. The basic level of funding is calculated in exactly the same way whether the school is a local authority maintained school or an academy. There is an additional sum of money which academies get above the basic funding level, but this has been reduced each year and will be less than £80 per pupil in 2016-17. Will it cost WLA to set up the MAT? There is a grant paid by the government to schools which join a MAT to cover the legal costs and so on. Would the West Lakes MAT be willing or able to take on schools that are either failing or have funding issues? This is an important question. For all schools who wish to join the West Lakes MAT we will carry out a detailed evaluation, this is called ‘due diligence’. It will include, for example, educational performance, financial position and buildings condition. Then a plan will be developed to address any issues which are identified and we will only move forward with the particular school provided there is a robust and sustainable plan to support the school to address the issues. The final decision on whether a particular school joins the MAT is taken by the Regional Schools Commissioner, part of the Department of Education, and they will only allow a school to join a MAT if they are confident that the MAT can provide the required support to address a failing school or one which has funding issues. Would West Lakes Academy still work with and support schools that are not part of the MAT as we do now? Absolutely. We have a long history of working closely and collaboratively with schools, both locally and across the county. There would be no change in this approach. We believe very strongly in a self-supporting and self-improving educational sector. Who might West Lakes Academy partner with? Secondary schools? Primaries? Specialist provision? We have no specific schools in mind at the moment. We are open to talk with any type of school who may be interested in becoming involved in the MAT. Having said this the Department for Education’s preferred structure is of schools with children from age 4 to 19, with specialist provision if appropriate. Might WLA be vulnerable if we do not become a MAT? West Lakes Academy is a strong academy which is delivering excellent secondary education in West Cumbria. It has transformed educational provision since it was established in 2008. We believe that we would be able to continue as a single academy trust. However the government are keen on getting schools and academies to work together in MAT structures. Therefore it is possible that if West Lakes Academy did not become a MAT that the Department for Education could force WLA to join with another established MAT chain. We do not think this would be a good move and yes, by establishing a MAT we have increased protection from such a forced change – for the benefit of West Cumbrian students. Is the MAT bid about making WLA more sustainable? Yes, this is a key part of our thinking – that establishing a MAT means that there is a strong group of schools, teachers, pupils & students and parents working together to deliver high quality education for all our students, whichever school they are a part of. There will be opportunities to share best practice, coordinate the effective use of staff, efficiencies in procurement, staff development and in the way we organise support functions such are finance, facilities management, IT support and human resources. Is it a money making model such as we understand some academy chains make profit for themselves? No, our approach is all about working together with local schools to provide the best possible education in West Cumbria. All the money we receive will be spent on the education of our children. How does a move to a MAT affect what the sponsors contribute? The sponsors are involved in the governance and strategic direction of the academy. Although there was a financial endowment given to the academy when it was first established in 2008 this is the only financial contribution which the sponsors have made. The time that each governor commits to supporting the academy is the way the sponsors support the academy on an on-going basis. There isn’t a fixed size which is anticipated for the West Lakes MAT. The number which will finally make up the MAT will depend on the location of schools relative to each other and of course the other MATs which may be established in the area. For example faith schools are establishing their own MATs across their dioceses. The Department for Education think that somewhere between 6 and 30 schools would be a normal size range for a MAT. Which primary schools intend to join at this time? At the moment West Lakes Academy is simply intending to establish the legal structure of a MAT. This will involve two steps – firstly approval from the Regional Schools Commissioner (part of the Department for Education) and secondly the registration of the legal structure of the MAT. There are no other schools which have yet talked to us about their plans. West Lakes Academy cannot and will not force any school to join the MAT. It is for the governors of each school to decide the best option for their individual school. Will the West Lakes MAT have criteria for selecting the schools who can join the MAT? We have not set any specific criteria at this stage. However we believe that it is best for us to establish a geographical area within which the MAT schools will be located – hence we have said that the area where we believe the schools who will form the MAT will come from is West Cumbria. Other than this, we have not set any criteria. Is there an impact on teaching standards at WLA because staff time is taken in setting up and supporting the MAT? Establishment of the MAT will be led by a small group of the West Lakes Academy leadership team. It will not involve teaching staff time; teachers will therefore continue focussing on student teaching and learning. What is the governance structure of the MAT? Who pays for the trustees and members, does this mean less money is available for teaching and resources? Where will the governors, trustees and members come from? Firstly there are the MAT Members who will be 3 to 5 people who oversee the MAT visions, values, strategic direction and will approve new schools which wish to join the MAT. Secondly the MAT Trustees who will be between 8 and 10 people who set the leadership for the MAT. They lead the implementation of the vision and values, agree policies, oversee finance, facilities development and educational outcomes and review academy performance. Thirdly the Local Governing Bodies, set up for each separate academy in the MAT, which will have 8 to 10 people made up from parent governors, staff governors and representatives from the local community, much as they are today. None of the governors, trustees or members are paid for their responsibilities to the MAT therefore the governance structure will not take money which should be spent to teaching and resources. The governors, trustees or members of the MAT will initially be appointed from within the existing West Lakes Academy governing body. We will only fill a proportion of the posts of members and trustees because we want to leave a range of positions vacant which will then be filled by people from other schools which join the MAT later on. This approach will ensure that we get the best possible people, from a range of different backgrounds, to provide the strategic leadership and direction for the MAT. We believe that this is a proportionate governance model, and there will be appropriate and suitably qualified candidates in the area to cover these positions. In your letter dated 6 May it talks about opportunities for improved efficiency in a MAT (section titled “What are the benefits of creating a MAT”). Please can you explain what the improved efficiencies are likely to be because from my experience, efficiencies usually mean reduction in facilities or services such as reduced staffing levels? Our view of ‘improved efficiencies’ is about freeing up time for those people who work in schools who wish to join us. So, by way of an example, we know of schools where the head teacher teaches approximately 70% of the week. In the remaining 30%, they may have to deal with HR issues, recruitment, retention, building and facilities issues, budgetary issues, procurement negotiation – this list is not exhaustive! All these things, from what heads tell us, are a burden that detracts from concentrating on improving teaching and learning. Our view of efficiency is that we could take on that burden and free up that time for the core elements of the head’s job. We have also mentioned procurement in the list because we would have, as a group of schools, greater buying power and thereby greater leverage in securing better costs/prices/deals for anything we purchase.